The Daily Californian is conducting its first voter survey to better understand the voting habits of UC Berkeley students in the ASUC general elections. The survey contains questions about this year’s candidates in addition to questions about the state of the campus and university. 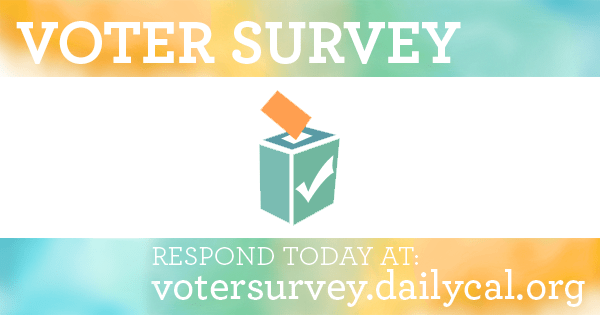 Please fill out our survey after casting your official ASUC ballot, available here. The survey should take approximately five minutes to complete. The Daily Californian will not publish any personally identifiable information — your answers are anonymous. If you would like to be entered into a drawing for one of three $25 gift cards to either Chipotle Mexican Grill or Sliver Pizzeria, please enter your email address at the end of the survey. It will not be used in conjunction with your other responses. After the election’s results are announced, The Daily Californian will publish our analysis of trends in campaigning methods, student approval of university administration and demographic patterns in voting behavior. ASUC voting closes Thursday at 11:59 p.m., but the survey will remain open until Friday at 11:59 p.m.